The end of July is approaching, but summer weather is far from over for many of us! Basically everywhere I’ve lived, August is decidedly part of summer. 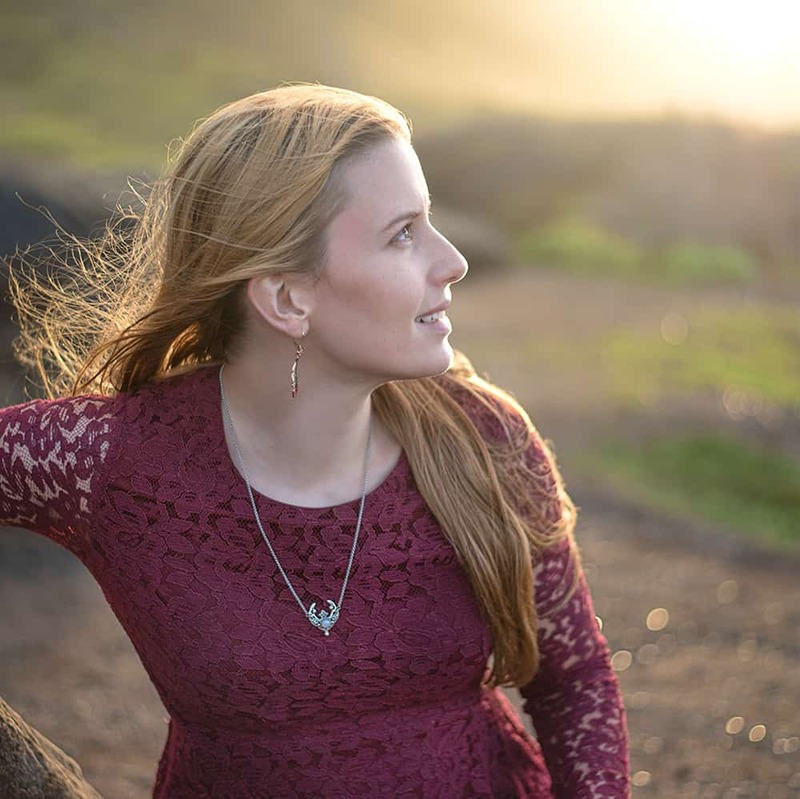 Where we currently live in Hawaii, September is usually our hottest month of the year. With several more months before I can reasonably expect to see nighttime lows consistently “dip” into the mid-70s, summer is definitely still on my mind! With plenty of hot weather ahead, I decided to put together a roundup of delicious sugar scrub recipes for summer. 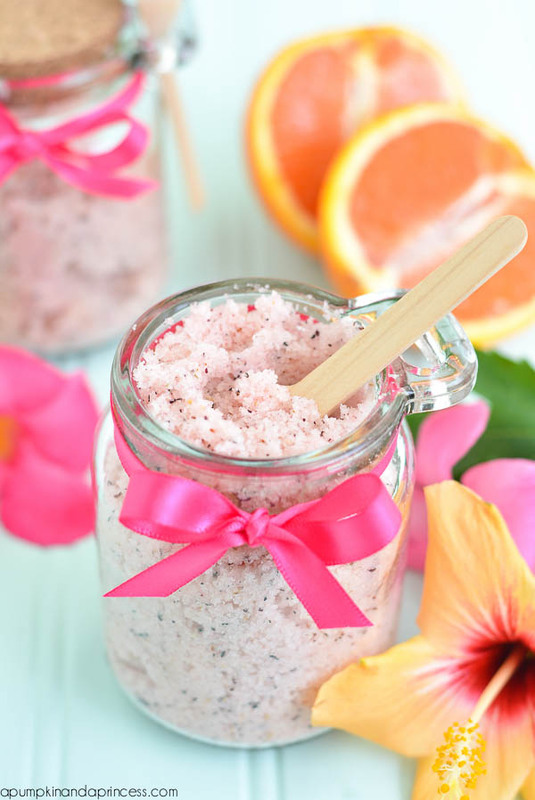 These sugar scrub recipes have bright, summery scents and are the perfect way to exfoliate and rehydrate your skin after a day in the sun or plane trip for vacation. 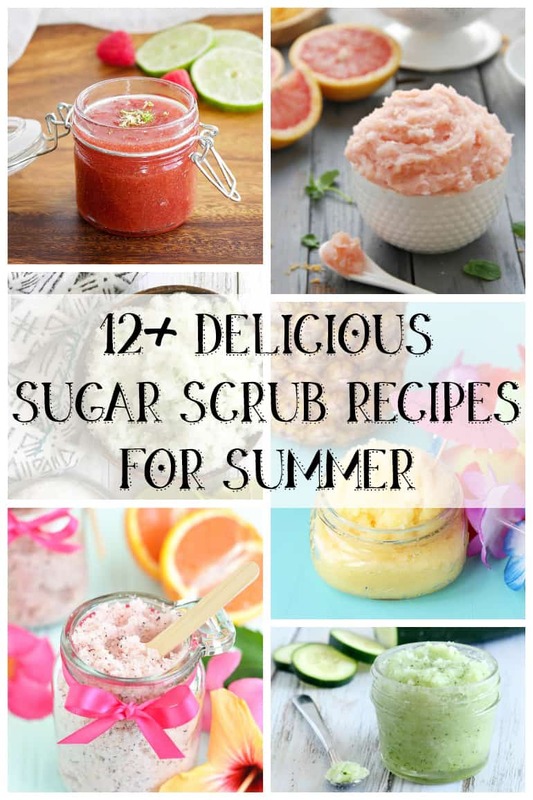 I hope you enjoy these 12+ sugar scrub recipes for summer! As I’ve mentioned before, lavender always reminds me of hot summer days. 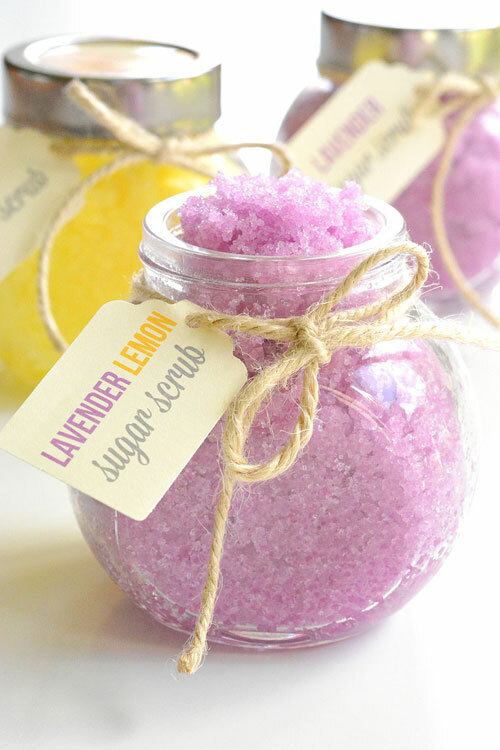 Lemon is also a bright, summery scent, which is why I like the looks of this lemon and lavender sugar scrub from One Little Project. Mint is another plant I associate with summer – when I was a kid I loved hunting along the creek banks at my grandparents’ to pick mint and brew tea! 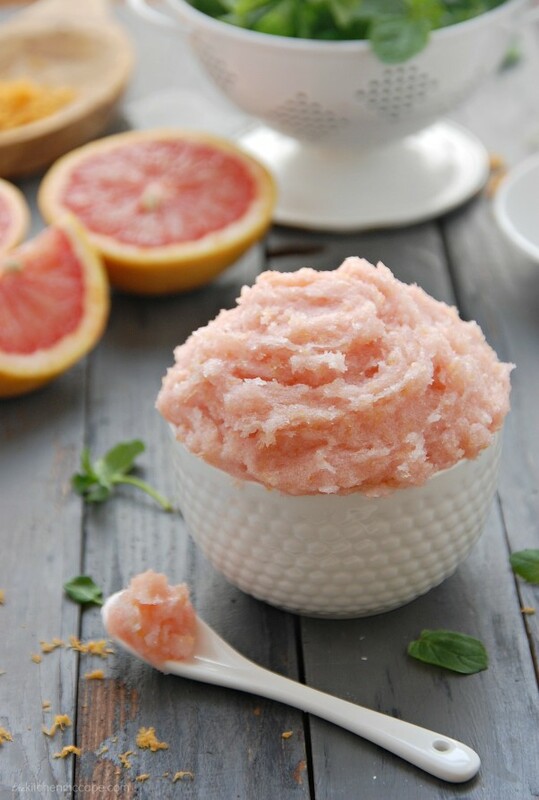 This whipped grapefruit mint sugar scrub from The Kitchen Mccabe seems like a wonderfully summery combination. And, of course, summer brings fresh berries! Celebrate warm weather produce with this raspberry lime sugar scrub from Beets & Bones. Iced tea is a summer classic – enjoy some tea in a different way with this citrus green tea body scrub from Dabbles & Babbles. Lavender and mint together?! You know I couldn’t’ pass up this lavender mint sugar scrub from Suburban Simplicity. The colors and hibiscus flower in this picture really caught my attention! This passion tea sugar scrub from A Pumpkin and a Princess seems like it smells like a day at the beach. Speaking of the beach, what could be more tropical than the scents of this lemon, lime, and coconut sugar scrub from Happiness is Homemade? If you’re dreaming of a cool treat on a hot day, this orange Creamsicle sugar scrub from The Melrose Family is for you. Lime and salt go together too perfectly to pass up this lime and sea salt scrub from Karissa’s Vegan Kitchen. Speaking of summer beverages, how about this piña colada sugar scrub and mini soaps from Happiness is Homemade? 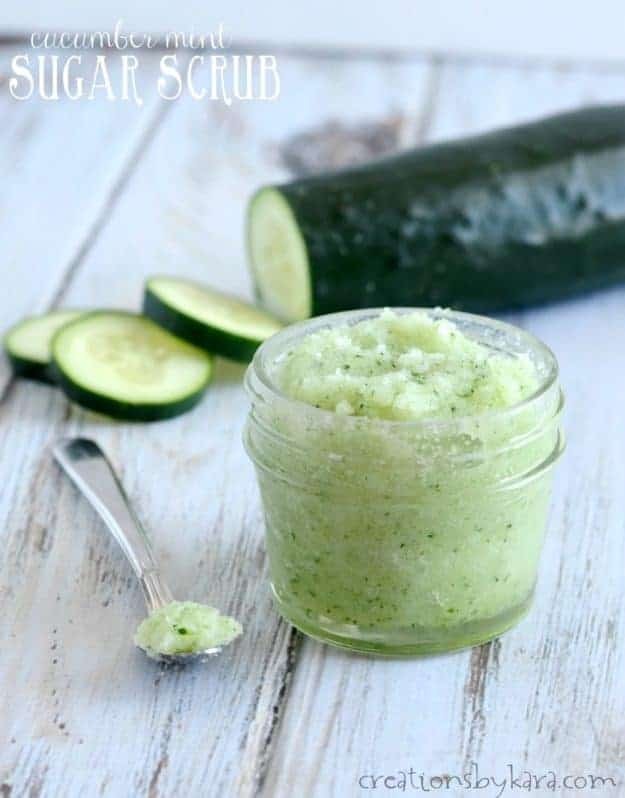 This Cucumber mint sugar scrub from Creations by Kara is sure to help you feel cool! I moved to Hawaii from Charleston, SC, where mimosas are a weekend favorite. 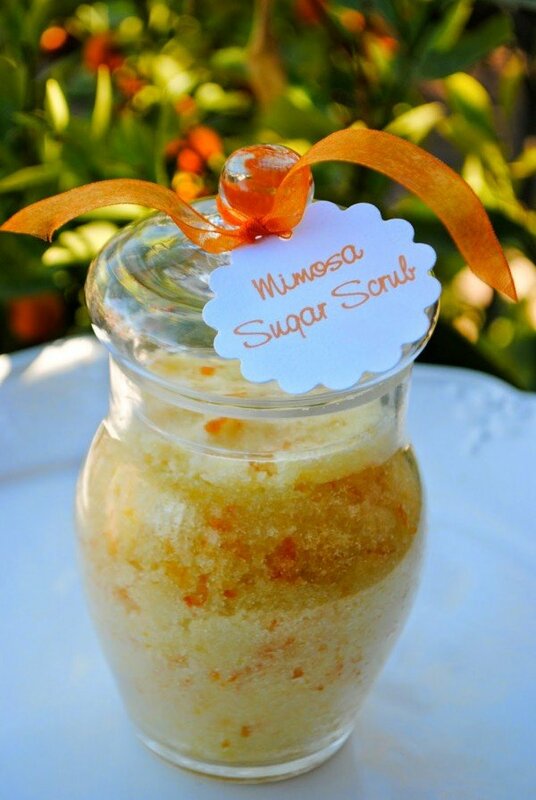 If you’re a fan, try this mimosa sugar scrub from Today’s Creative Life! And, last but not least, another classic summer combination with this raspberry lemonade sugar lip scrub from Busy Being Jennifer. 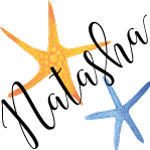 What a yummy collection of sugar scrub recipes for summer! What scents do you enjoy during the warmer months? Please note that all photos are property of their respective owners! Our summer has been so-so. In fact, late Spring, was more summer-like than actual summer! Back in Asia August was the hottest month 🙂 My favorite scrub is the Lavender Lemon one – pretty to look at and I bet it smells heavenly! August was almost always the hottest month for me in South Carolina, too, and when I visited Singapore in early August it was very hot and humid!